For a German high-stakes cash game player, having Full Tilt Poker set to return isn’t about recovering his huge sum of money from the site. He really wants to have the action back. 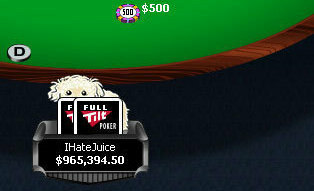 The 22-year-old player (who wishes to have his name withheld) was widely known in poker circles by his Full Tilt screen name, Kagome Kagome, after he changed it from IHateJuice. The young pro was a terror at the highest limit hold’em stakes ever offered, on any site, in online poker history. At one time, he was grinding at the absurd $2,000-$4,000 tables, but he wasn’t satisfied with the game. He asked Full Tilt for bigger games, and after Ivey, at the time a sponsored pro, showed interest in the request, the company said OK. 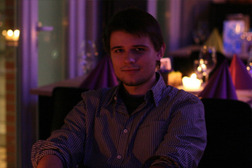 In December 2010, after a huge upswing on the site, the German was granted a $3,000-$6,000 table with his name on it. The U.S. government said that Full Tilt was on the road toward insolvency at around this time. Fast forward to August 2012. Thanks to a settlement agreement with the U.S. Department of Justice, PokerStars will repay all non-Americans their entire Full Tilt balances — a total that comes to about $184 million. Americans will have to go through the feds for compensation, and as Forbes reported, how much they receive is still up in the air. The U.S. government alleges that Full Tilt was acting as a Ponzi scheme after shutting down its business in America after April 15, 2011. Kagome Kagome was still actively engaged on the site, which was still accepting deposits and assuring players that everything was OK. The German wasn’t convinced. He tried to cash out, but the process was painfully slow. His bankroll grew, and then it vanished into the abyss of corporate fraud. The German called it an “unpleasant situation,” but he learned to cope through some periods of anger. PokerStars said it plans to re-open Full Tilt in most markets and that player accounts will be available for withdraw or for continued play. The Isle of Man-based company has permission to re-enter the U.S. under a legal and regulated market. Only Nevada is close to an intrastate industry, but PokerStars has a “credibility issue” there, a state lawmaker told Card Player.